"So is this thing going to just show this loop?" asks Kendra. "Nah," says Four. "What's the point in that? This should show all of them. Well, all of them after this one. Couldn't figure out how to read previously existing data very well. We might get a bit of Three's, but it'll be fuzzy." "Including ours?" asks Kendra. "Thirteen?" "Ah, no," says Four. 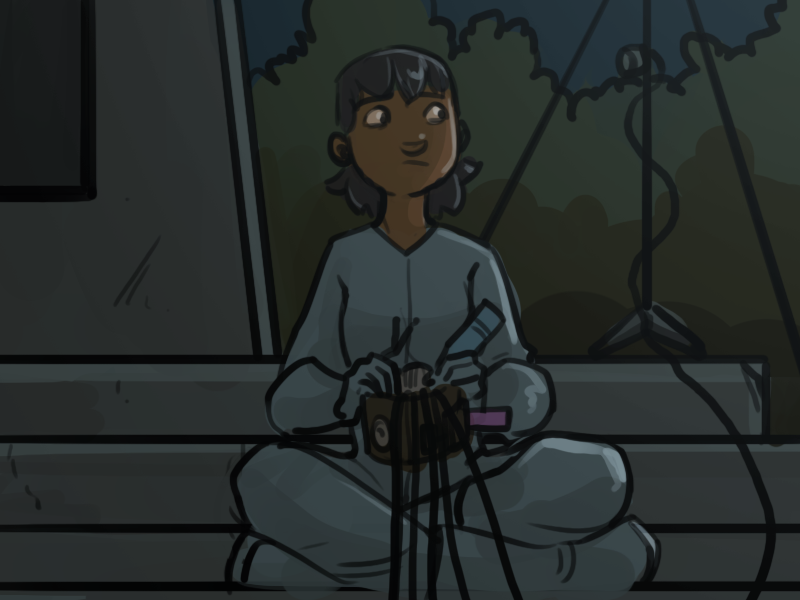 She stops fiddling with the wires and thinks about that one pretty hard. "Er… maybe?" " I don't have it set up to go that far. I was just going to go to Ten. I thought Ten would be the last, we'd have either succeeded by that point or everything would have imploded…"
"I - yeah, I think so. It'll take a few minutes, but I can expand the search area to get the rest of -"
"Wait - don't include us," says Bina. "Go up to Twelve, but no further."